Many times, members from the morning classes and members from the evening classes do not have much interaction due to the the fact that classes do not overlap. Even though this is the unavoidable truth, you will find Mark at many of the Saturday morning community workouts. He is always welcoming to the new faces that attend on Saturdays as well as eager to get to know some of the somewhat familiar faces from other classes. Here are some fun facts about Mark that will help you the community, get to know him! I had been looking for a CrossFit gym closer to home but struggled with leaving my current gym. That is, until I found UpReach CrossFit. I had trained beside Coach Dre in the past, so I was excited to learn that he was coaching the 5:30am classes. I have lot’s of favorites: fellow members, solid programming, solid coaching, great equipment, lot’s of bay doors and lot’s of fans. My body composition certainly has changed, but the bigger change was mental. I found joy in learning new skills and in finishing challenging WODs. 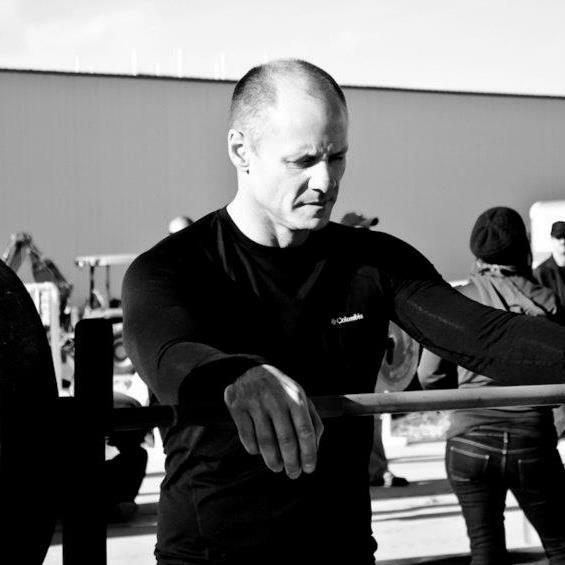 It’s the mental aspect that has enabled me to do CrossFit continually for nine years. “September” by Earth, Wind & Fire. Hearing it puts a smile on my face. Thank you for participating, Mark! Please help to congratulate Mark on being the July member of the month!